The proliferation of marijuana grow sites in Klamath County became the topic of many public and private discussions during the early months of summer 2017. The Klamath County Sheriff’s Office began receiving complaints from citizens, business owners, and others concerned with an unchecked, and at times, “in our face” disregard for laws concerning what a legal grow site is and what is illegal. Coupling these concerns with a past history of transient grow sites in remote areas that left behind trash, partially constructed buildings, abandoned vehicles, and human waste for residents to deal with, created a law enforcement / code enforcement situation which needed to be addressed. To deal effectively with this problem would have required a team of deputies and code enforcement officers working around the clock, but these resources are not available at this time in our county. On the other hand to do nothing was not acceptable and a plan was instituted to take on the most egregious violators to the best of our ability. What follows is the result of this effort and a list of those agencies helping address this problem. 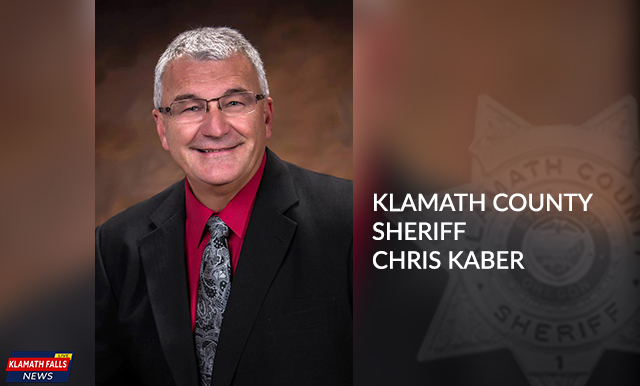 The Klamath County Sheriff’s Office, with the approval and encouragement of the Board of County Commissioners, temporarily hired an experienced retired deputy to take the lead on investigating complaints regarding marijuana grow sites. During the course of the effort the following results were realized. “62” different grow sites were identified and information on each was documented. This information was obtained through complaints, tips, interviews, aircraft flights, and law enforcement investigation. Many were within the Urban Growth Boundary of Klamath Falls but the majority were in rural eastern Klamath County. Of the “8” OMMP sites visited, only “1” was found operating legally. “6” search warrants were served during the operation and “8” people were arrested and charged with a variety of offenses. “493” marijuana plants (averaging 6’ in height) were seized. (A value of $2 to $6.6 million depending on where it would have eventually been distributed). “91” pounds of manicured and processed marijuana were seized. (A value of $123,000 to $406,000 depending on where it would have eventually been distributed). “22” unlawful firearms were seized as well as tactical gear and one set of soft body armor. $15,210 cash was confiscated as suspected profits of unlawful marijuana sales. Connections to the illegal grow sites were found in five other states outside of Oregon. They are Nevada, Illinois, Florida, Minnesota, and Ohio. Due to time constraints and resources it should be noted only “27” of the “62” identified grow sites were able to be visited this year. When enforcement efforts are conducted in 2018, they will be even more proactive. There will already be “35” identified sites to investigate using 2017 information and additional information learned during the growing off-season. The Klamath County Sheriff’s Office led the investigations, however the KCSO was greatly assisted by local and federal agencies to include: Klamath County Code Enforcement, Basin Interagency Narcotics Enforcement Team, Bureau of Land Management, Oregon Department of Forestry (they put out a fire started by a grower during an investigation), and Emergency Air Lift who provided aircraft support.